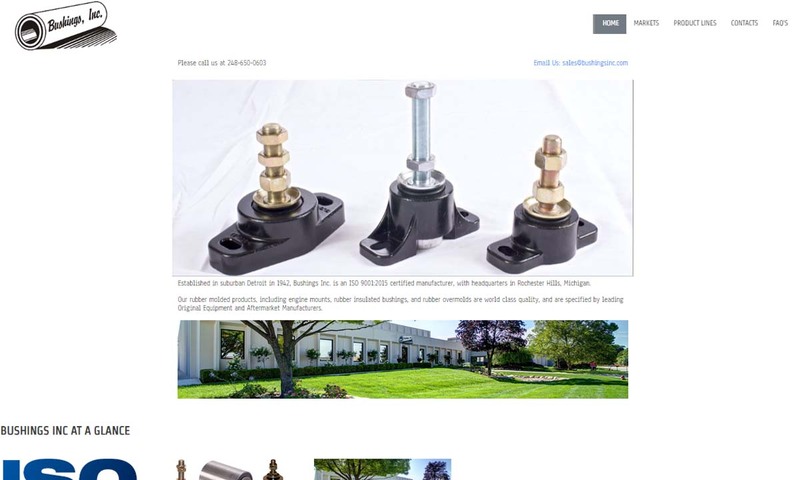 A reliable source for Bonded Metal Rubber information and a resource for accessing leading Bonded Metal Rubber and suppliers. The practice of bonding rubber to metal is one that serves to create products and parts that have the advantages of both metal and rubber. The process is fairly simple, entailing gluing rubber to metal using any number of adhesives. Rubber to metal bonding offers manufacturers a way to create more complex parts, both small and large, for applications in a wide variety of industries. Common applications include vibration dampening, shock absorbance, sealing, friction dissipation, noise isolation, comfort gripping, and more. Usually, the types of metal-rubber products fabricated through this process are used for applications in industries including aerospace, automotive, construction, electrical, industrial machinery, medical, plumbing, rubber rolling, and vibration absorbers. Rubber to Metal Bonding The practice of bonding rubber to metal is one that serves to create products and parts that have the advantages of both metal and rubber. The process is fairly simple, entailing gluing rubber to metal using any number of adhesives. 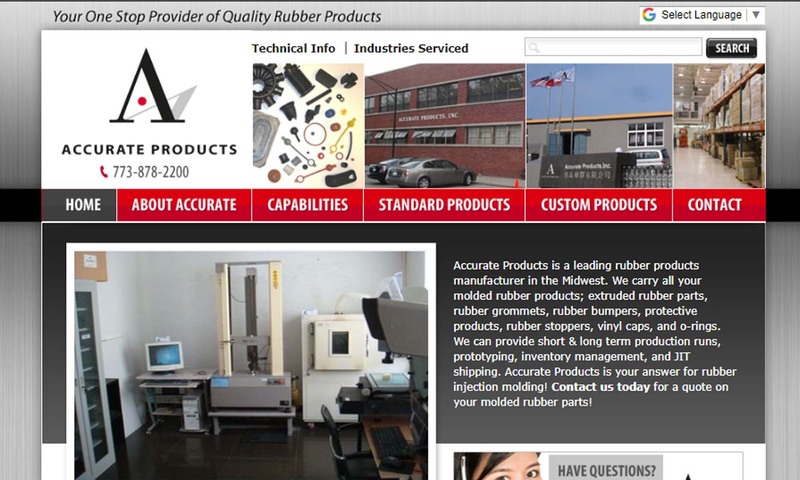 RD Rubber Technology is a custom rubber to metal bonding company that is highly responsive and flexible to customer needs from design, development and prototyping to short run or long run, high volume production. With over 75 years of manufacturing we are confident we can find the best rubber to metal bonded products for your need. Our services are cost efficient and we will keep all of your production goals in mind. See how Accurate Products can bond natural and synthetic rubber to a wide variety of materials for applications such as tires, gaskets, seals, rolls, hoses, tubes, vibration isolators, shock mounts, electrical components, bumpers, drive wheels, etc. 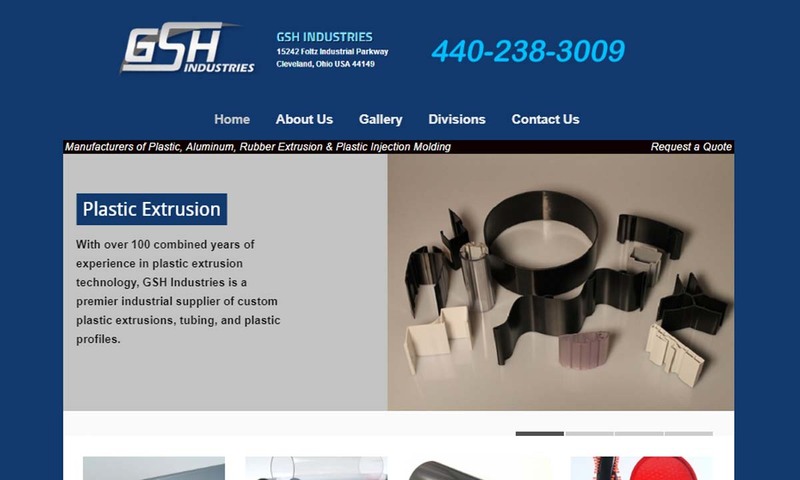 For over 25 years, GSH has provided top quality contract manufacturing services, and we strive to remain on the cutting edge of our industry. 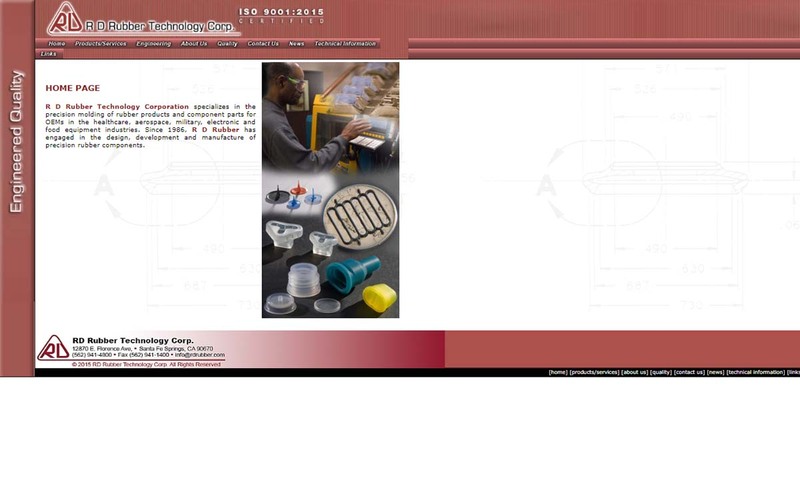 From molding products made of homogeneous rubber, to rubber bonded to metal as well as other various materials. 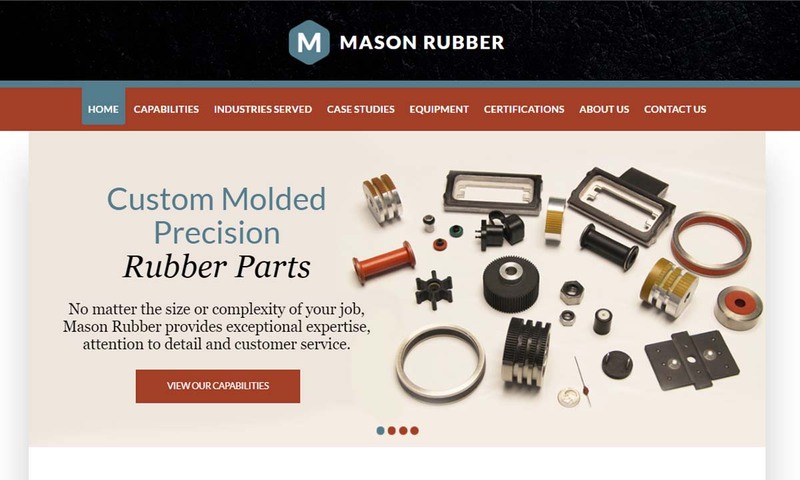 Mason Rubber makes efficient use of state of the art technology to produce a quality product. Our economical products are made from high-quality solutions that will last you for many years to come. We are a dependable manufacturer that will work with you every step of the way. 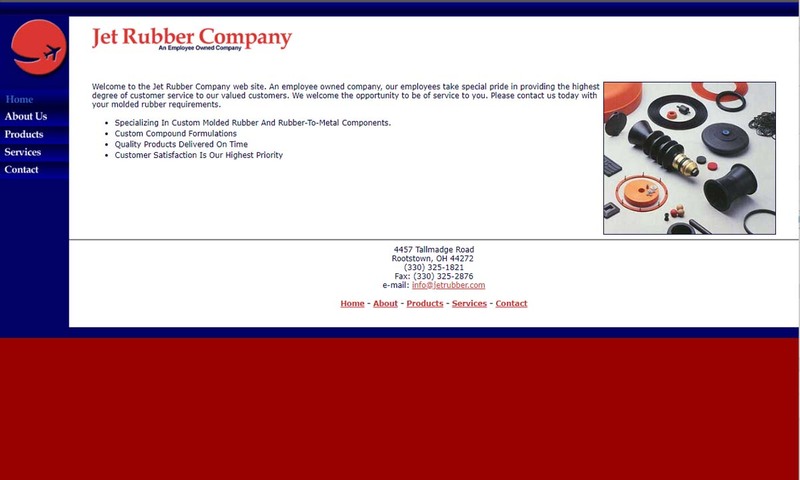 Since 1955, Jet Rubber Company, an Employee Owned Company, has been custom molding rubber and rubber-to-metal components for a variety of industries and applications. The applications of rubber bonded to metal parts are numerous and varied. Examples of common bonded to metal rubber parts and products include seals, gaskets, pad surfaces, pedals, bearings, and the like. In the aerospace industry and automotive industries, they help with the installation and function of foot pedals, bumpers, steering wheels, reinforced tires, engine mounts, and more. In construction and manufacturing, rubber to metal bonding processes help create product components including conveyor belts, gaskets, bearings, rubber lined rollers, and more. They also serve the medical industry with silicone bonded parts, such as surgical instrument handles. In addition, they are found in components of electrical cables, plugs, and rubber lined pipes and tanks. 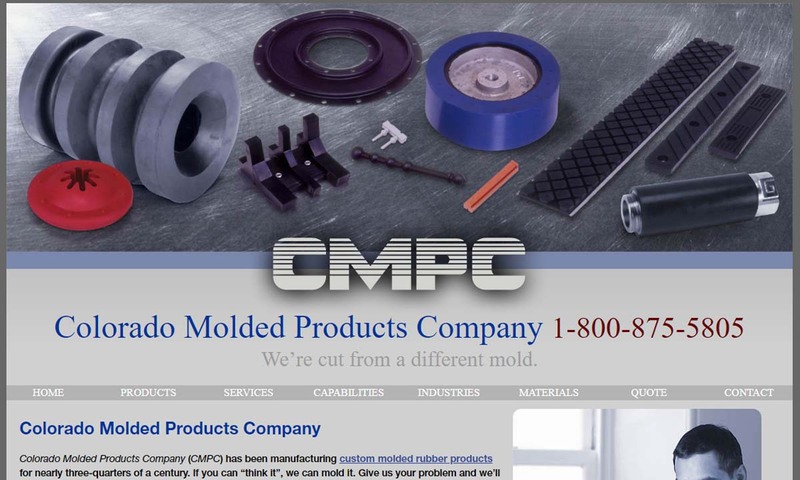 Rubber to Metal Bonding – Colorado Molded Products Co.
Manufacturers first began using natural rubber as an adhesive back in 1830. Just nine years later, Charles Goodyear discovered the process of vulcanization; that is, he discovered that he could make rubber elastic by mixing it with Sulphur and then heating it. About 20 years later, in 1862, Charles Sanderson received a British patent for the process of electro-depositing brass onto a metal substrate. His goal, which he accomplished, was to make rubber to metal bonding more successful by making metal better equipped to hold that bond. During the early 20th century, automotive manufacturers discovered that their new products would benefit from rubber shock mounts. To accommodate this, they needed to develop methods for stronger rubber to metal bonds. Their first solution was to treat crystallized rubber in acids. By doing so, they could create solvent-based rubber cements. These cements were just the material they needed for better rubber to metal bonding. By the late 1920s, solvent-based rubber cements were standard bonding agents in the automotive industry. Many years after manufacturers began using solvent-based bonding agents, they realized that these adhesives are bad for the environment. So, they switched to water-based adhesives, which are much more environmentally friendly. Also, when rubber to metal bonding first began, manufacturers used steel of all grades most often. Today, manufacturers perform rubber to metal bonding using a wide variety of bonding processes, adhesion materials, and metals. The process of rubber bonding involves three main components: the metal substrate, the rubber material, and the bonding agents. The main qualification that a metal substrate (metal surface to be bonded) must meet is the ability to withstand the high pressure and high heat involved in the process. However, just because a material can be used in rubber bonding, does not mean that it will turn out well every time. Rather, the results of bonding rubber to an alloy depend on the composition of the alloy. The types of metal able to be bonded are quite varied. The most popular is aluminum. Other common metals used for rubber bonding include steel, brass, beryllium, and copper. Rubber bonding may also be performed with non-metal materials, such as fabric, glass, and a variety of plastics. Steel is an iron alloy known for its high tensile strength, durability, ductility, and weldability. Aluminum alloys have taken over as the most popular metal for bonding because it is less expensive and more lightweight than steel, but it does not detract from seal strength or quality. Brass alloys are very generally attractive and lightweight. They are also non-sparking and antimicrobial, and work well in low friction settings. They do not work well in high heat situations, as they have a low melting point. Beryllium is a copper alloy with some excellent qualities, such as high electrical conductivity, ductility, heat treatability, stability, corrosion resistance, and low creep. Copper is a naturally-occurring element, known as a metal for its electrical conductivity, thermal conductivity, corrosion resistance, anti-microbial properties, malleability, softness, ductility, non-magnetism, and joinability. As for rubber and rubber elastomers (rubber-like materials), manufacturers may use any type, as long as it can flow into the mold without generating any notable level of cross-linking, and as long as the materials that make up the rubber will not bleed onto the surface of the uncured stock too quickly. Types of rubber and rubber elastomers that manufacturers commonly use in the bonding process include nitrile, neoprene, silicone, and a number of other synthetic and natural rubber materials. Nitrile rubber is a rubber material with excellent adhesion, excellent abrasion resistance, good tear resistance, good or excellent oil resistance, and good or excellent solvent resistance. This elastomer is a great choice for rubber to metal bonding, aside from the creation of bonded products that will be in the presence of highly polar like acetone or chlorinated hydrocarbons. Neoprene is an extremely popular synthetic rubber material. It offers high tensile strength, excellent weathering properties, good tear resistance, and excellent abrasion resistance. When bonded to metal, it is commonly used in the auto industry, construction, wire and cable, and mass transit. Silicone rubber is known for superior temperature resistance, great tensile strength and tear resistance, and excellent weathering properties. Most often, manufacturers bond it to metal to create seals, O-rings and gaskets for use in HVAC, electrical engineering, mechanical engineering, and mass transit. Bonding agents are water or solvent based solutions that are topped with a primer coat made up of phenolic-style resins and a topcoat of a variety of materials, including polymers. Most solutions are patented and available for standard purchase. By and large, manufacturers now use water-based adhesives as bonding agents, as opposed to solvent-based adhesives. Water-based adhesives are far more environmentally friendly than solvent-based adhesives. Also, they have been found to be just as durable and provide equally secure and reliable seals. Once the substrate, rubber material, and bonding adhesive have been chosen, the bonding process follows a fairly universal procedure. It starts with a standard rubber molding process, a process during which manufacturers create a molded rubber surface. It then continues with the treatment of the metal surface and rubber surface and ends with the application of the bonding agent to these surfaces. First, manufacturers must spray the rubber with a gray primer coat via a low pressure, high volume barrel spraying machine. Note that manufacturers must make sure that the area over which it is sprayed is slightly wider than the area occupied by the black topcoat to be applied. Next, before they can coat a substrate with an adhesive, manufacturers clean it properly; they cannot leave behind any oils or grime from the fabrication process. They may accomplish this using chemical cleaning, sandblasters, or degreasers. The next step, the rubber molding process, is the most important part of the rubber bonding process. To carry it out, manufacturers first position the metal component within a mold. After this, they usually inject it with heated, almost molten, uncured rubber. This is called injection molding rubber. At this stage of the molding process, manufacturers may or may not add plated inserts for additional bond strength. They may also add inserts for added stability. Plated inserts are made from metal materials like steel. Manufacturers make inserts in a wide variety of shapes and sizes. If they include inserts in the molding process, they call the molding process insert molding or insert injection molding. After they set it in the mold, the manufacturers leave rubber to dry and cure. Once completely dry, the part is considered done, and they remove it from the mold. Sometimes, the mold dries in such a way that it is slightly larger than the metal surface, so that it forms a thin coating of rubber around the metal. Other times, the mold and the substrate are quite dissimilar from one another because the rubber part design is so complex. When designing a rubber to metal bonded part, manufacturers consider the details of the application, such as the environment to which it will be exposed, how often it will be used, the type of load(s) it needs to support or withstand, and any applicable standard requirements. Based on these details, manufacturers decide on the bonding agent type and the bonding and molding procedures. Usually, manufacturers choose the rubber material based on the part being manufactured or the metal being used. Manufacturers decide on the number of coatings required based on the kind of exposure the part will experience. If the part will not likely be exposed to high humidity, pressure, or heat, manufacturers may bond it successfully with only one layer of bonding adhesive. Similarly, the thickness of the bonding layer depends on the nature of the rubber material upon which it is coated. Some of the rubber curing processes manufacturers use to bond rubber to metal include chemical curing, exhaust steam curing, vulcanizer curing, and induction heating. Chemical curing begins when manufacturers apply a bonding agent to the lining and then allow it to sit at room temperature for several days. This allows the chemical agent to thoroughly permeate the lining. If they so choose, manufacturers may speed up the process by adding heat. This is a practice they often use on field lined vessels or tanks in need of repair. Exhaust steam curing involves blanking a substrate vessel in order to let steam seep into and cure it. Manufacturers usually blank the substrate by tarping live steam into it or blind flanging it so the steam can enter. Exhaust steam curing is a gentle method that keeps the linking and bonding adhesive from becoming weak or compromised. Vulcanizer curing is fairly simple. Manufacturers carry it out by placing the rubber bonded metal in a live steam vulcanizer. There, it cures under pressure. Vulcanizer curing creates the strongest rubber to metal bonds. Induction heating is an energy-efficient, non-contact curing method that uses a closed loop of induction heat to cure products. Manufacturers often use it as a part of in-line production because it is so fast, accurate and reliable, and also because it offers precision curing of minute spaces. 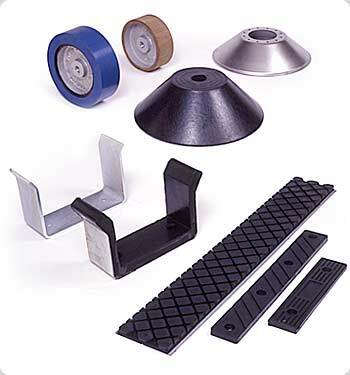 Rubber to metal bonding offers many benefits to those using bonded products and parts. First, bonding creates one of the strongest adhesive connections possible. Second, rubber to metal bonding is versatile; manufacturers can mold the rubber to metal substrates with all sorts of designs. Another aspect of rubber to metal bonding versatility is temperature range. Because manufacturers can use so many different rubber materials, and bonding and curing agents during this process, they can create products that work within an extremely wide range of temperatures. Finally, because manufacturers can use water-based adhesive materials and rubber that does not contain lead, rubber to metal bonding is more environmentally friendly than many other bonding processes. 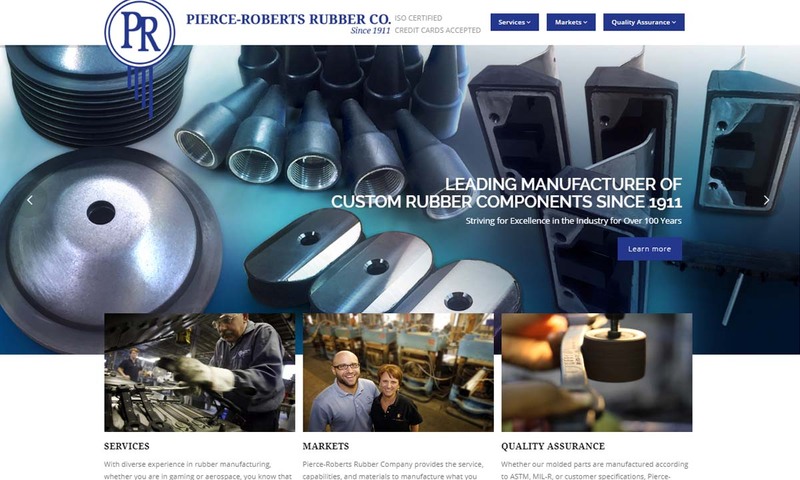 To help you in your search for a high-quality rubber to metal bonding service provider, we’ve listed some of the best manufacturers we know in the bonding industry. Before you check them out, we recommend you take some time to write down your application specifications, such as your budget, your deadline, your request volume, your standard requirements, and delivery preferences. That way, when the time comes to determine the right manufacturer, you’ll have a checklist of qualifications.  When you’re ready, take a look at those companies we’ve listed on this page. You’ll find them sandwiched in between our info paragraphs. Based on your specifications, pick out three or four to whom you’d like to speak at length, and then reach out to each of them. Using your specifications list as a guide, discuss your application and their services. Once you’ve spoken with each manufacturer, compare and contrast their services, their prices, and their general customer service, and select the right one for you. Good luck!